How To Repair Damaged Furniture: 8 Useful Tips to Get the Job Done! No matter how much you try to keep the furniture in your dining and living room damage-free, it is almost impossible to prevent water stains, tears, and scratches. These little damages can come from several sources: your pet has an accident or chews some wood, your children are too enthusiastic with permanent markers or pens, or your favorite furniture suffers from smoke or damage. Strong upholstery such as microfiber and leather can equally get damaged in some situations. The same applies to wood furniture damages; using coasters, furniture polish, and glass covers may not prevent stains, water rings, or scratches from severely affecting your wood furniture. Furniture deterioration is inevitable, but fortunately, there are several ways to fix them. Here are some tips and tricks to help repair your damaged furniture and make them look as good as new again, depending on the different materials and type of damage. You can stain your furniture darker with vinegar, and still give it a more natural color. You can try either apple cider vinegar or balsamic vinegar, depending on your preferred color. If you use a wire brush to scrub in the vinegar, you will be amazed at the new look it will give your wood furniture. 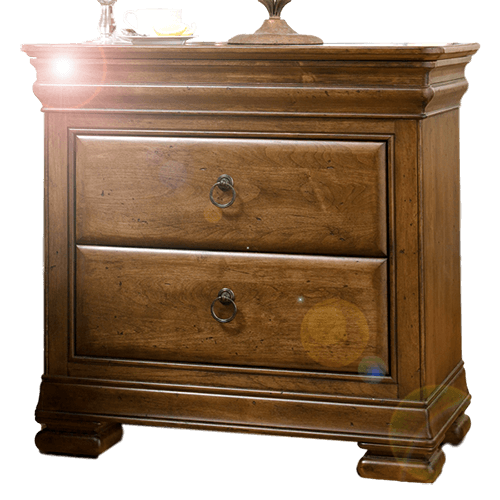 To repair reasonably minor damage, restore your furniture using this natural recipe. Mix one-quarter cup of vinegar (apple or white cedar) and three-quarter cups of oil (you can make do with canola oil) thoroughly. Follow the application instructions, and in no time, your wood will look as good as a new one. Also, you can repair your scuffs by simply rubbing them with walnut! Before purchasing wood stain from stores, try using a natural ingredient. 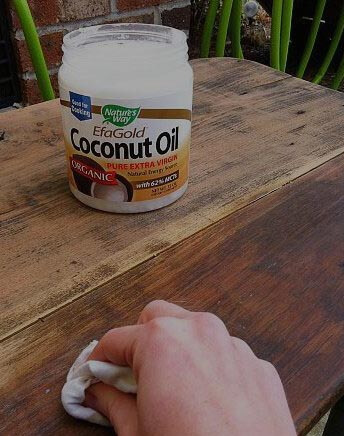 Coconut oil does not only rehydrate furniture but also restores the wood’s soft glow and natural color. It may make the furniture look darker, yet it actually restores the natural color and makes it look healthier. You never knew coconut oil to be this amazing? Well, now you know. If you’ve got a beautiful wood piece, but an eyesore is detracting from the overall appearance, you can use a Bondo filler! Bondo is an all-purpose alternative preferred by several furniture restorers to the normal furniture fillers. Mix up the Bondo, and apply to the damaged, uneven portion, then sand smooth. If you feel capable you should try using specific tools to make your job easier. Using tools like fasteners, glue and pliers are always useful, just make sure never to underestimate a good paintbrush! 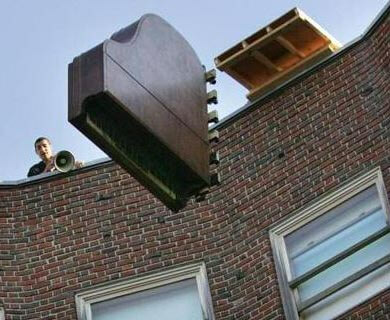 After that, you can give the furniture an even look by repainting the entire piece. It may seem simple to refinish wood; simple purchase a stain and apply it – but we can tell you confidently that there’s more to be done to enhance this staining process. First, ensure to sand the furniture piece – even if you’re not seeing any sort of top coat or finish. Do remember to sand with the grain, that’s the exact direction of the furniture grain. To achieve the best result, begin by doing a coarse-grit, and finish with a fine-grit. Nice smooth wood surfaces will readily accept the stain and color evenly. For good control, use a rag to apply the stain, and thoroughly buff towards the end for a more attractive and durable end result. If you have an old piece that has been painted and overused in the past, you can return its lost glory by stripping it to the beautiful, original piece. Depending on how large the damaged area is, you can use liquid paint strippers (for a large area) or sand it down (for a small area). Applying liquid strippers require an even spread around. You could use a chip brush to make a cool, thick layer. Allow the stripper to dry for about 40 minutes and scrape it away while maintaining the wood grain. If you love the appearance of reclaimed pallets or wood, but there are unattractive old nail holes that disfigured the furniture, do not worry. You can get over this with a simple restoration trick! Filling the holes with pieces of wood, in place of glue is recommended. We recommend using wood stain because they look more natural and even. Just sharpen a skewer, caramel apple stick, or even a toothpick and then pop it in! After sanding it down to a moderate finish, check it out again! If there is a pesky watermark that is refusing to align with your repainting or refinishing efforts, simply eliminate the annoying stain using spray shellac! Just like the Zinsser Bulls Eye Spray, a shellac coating will seal the watermark and prevent any bleed out to enable you to paint with ease. Restoring and repairing your furniture is simple, only if you have the perfect materials and instructions! Now that you have them, go ahead and take delight in the natural beauty of your furniture!